Many dyslexic children are well above the average in intelligence yet their disability makes progress at school extra hard and reading is often such an effort that they are deprived of the enjoyment from books. The author describes the difficulties of these children and records some of his own experiences in trying to help them. He emphasises the relief to children and parents when at last difficulties are being understood and taken seriously. 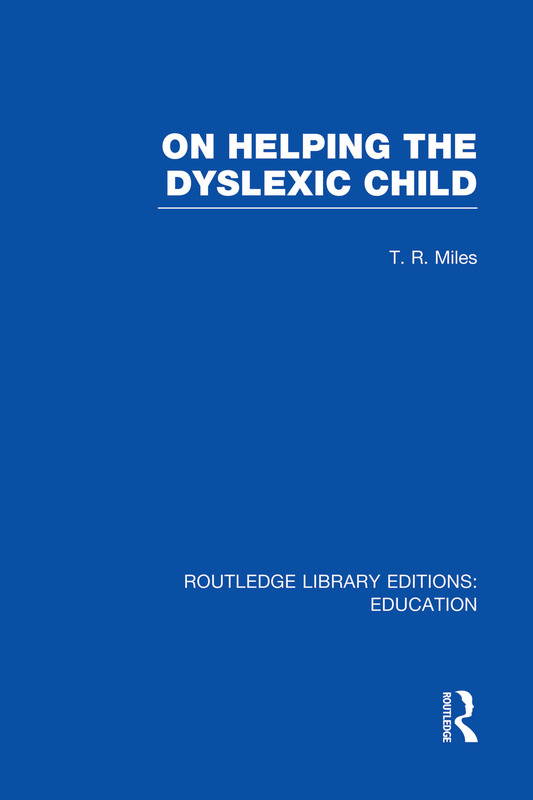 Although much has changed in our understanding of dyslexia since this book was published, it remains an important historical record of the early recognition and treatment of the condition which formed an important spring-board for subsequent progress in our understanding of dyslexia. Preface. 1. What to Look For. 2. The Causes of Dyslexia. 3. The Decision to Try to Help. 4. Some Suggested Guide-Lines. 5. On Dividing Out the Time. 6. Building the Dictionary. 7. A Sample Dictionary. 8. Exercises. Suggetions for Further Reading. Index.